Direct link to Facebook event is here. 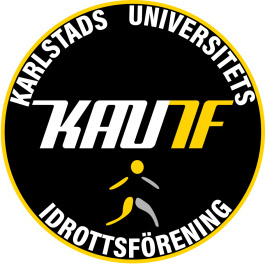 It has been a month since Kauif started offering table tennis sessions! About time to organize a tournament. Mark the 4th of november in your calendars because you will be spending the day in the university sports hall. Matches will be played to 11 points, best of 3 sets. Singles and doubles. There is a limited amount of spots. The entering fee will be 30kr for members of Kauif and 50kr for non-members. Food will be served at the spot, for a smaller fee. - If you going to play single or dubble, or both. You can pay in three different ways. - Swish : 123 420 38 57 . Write your name and "Tabletennistournement"
- Bankgiro: 230-5365 . 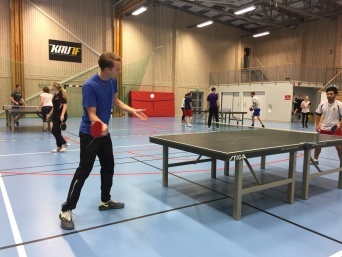 Write your name and "Tabletennistournement"
- Go to the Student Union (Studentkåren) expedition and pay with card. State your personal identity number/social security number, name and if you going to play single or dubble.